Every Monday, starting Jan 14, 2019 and ending May 4, 2019. Sewing machines, material, and fabrics will be provided. All classes start at 10:00 am and end at 2:00 pm. In Sha’ Allah, a Fundraising Bazaar will be held once a month and will be announced. All proceeds go to support the new IslamInSpanish Center. We will stop the sewing classes during the Holy Month of Ramadan. In sha’ Allah, we will set a plan for summer classes and programs for kids. This program is intended for the young brothers in the community who would like to improve their relationship with the Quran by learning ways to better read, recite and memorize the Quran. The class will be taught and led by Imam Isa Parada. We will have special guest Qari’s from the community to assist the students in these different areas. Nueva clase comenzando este domingo a las 11:30am en el Centro Islamico. “La Vida del Profeta Muhammad: Una Misericordia Para la Humanidad” con Imam Abdurahman Vega. This is a Muslim Development Program - Free & Open for All. Upon the completion of this 12 week class, you will have a firm understanding of your relationship with your Lord and how this will give you confidence to navigate through life's challenges. Based on the book by Ibn Qayum titled “The Spiritual Journey to Allah and His Messenger”. This is a weekly class on Sundays from 1-2pm in English taught by Imam Isa Parada. Don’t miss out! Join us every Friday as we gather for a weekly reminder from our different instructors and diverse khateebs in English and Spanish. 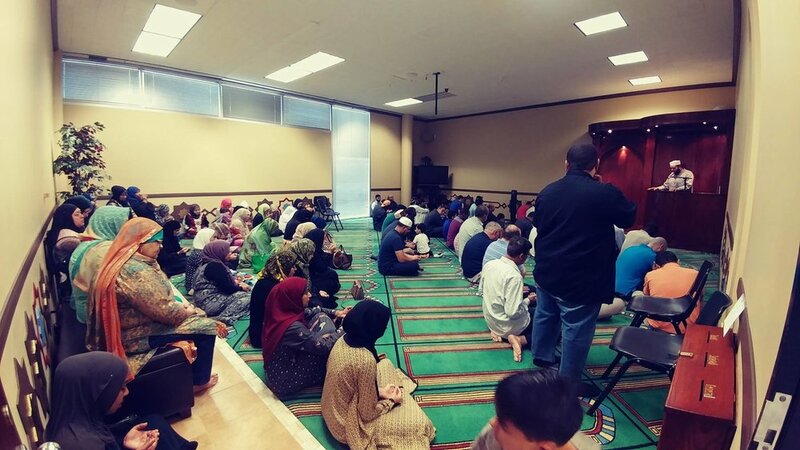 We are the only Spanish-speaking Islamic center in the US and the only center that has a Spanish sermon every week. We hope inshallah God willing you could join us for your next jummuah. JazakAllah khairan, May God Bless you. Acompañanos cada viernes para nuestro recordatorio semanal presentados por nuestros instructores diversos. Nosotros somos el unico Centro Islamico de hispano hablante y el unico que semanalmente tenemos los sermones en español. Esperamos que puedan compartir su proximo Viernes de congregacion con nosotros. Dios les bendiga. Teen talk is a safe, open space for sisters ages 13-19 years old where they can speak with sister Sarah Sultan who is a certified counselor and youth mentor in the Houston community. This program is all about the youth and how to overcome their daily challenges in an environment where others may also be going through similar situations and the discussion is guided by a specialists that can not only give them the Islamic solutions but also the confidence to handle any scenario.